The first Boeing 727 — a model that became one of the company’s top-selling planes of all time — will take to the skies one last time after a 25-year restoration effort. It’s bound for its final home, the Museum of Flight. Bob Bogash hopes that next week a dream he’s pursued for more than a quarter of a century will materialize: to see the first Boeing 727 — a model that became one of the airplane-maker’s top-selling planes of all time — take to the skies one last time. 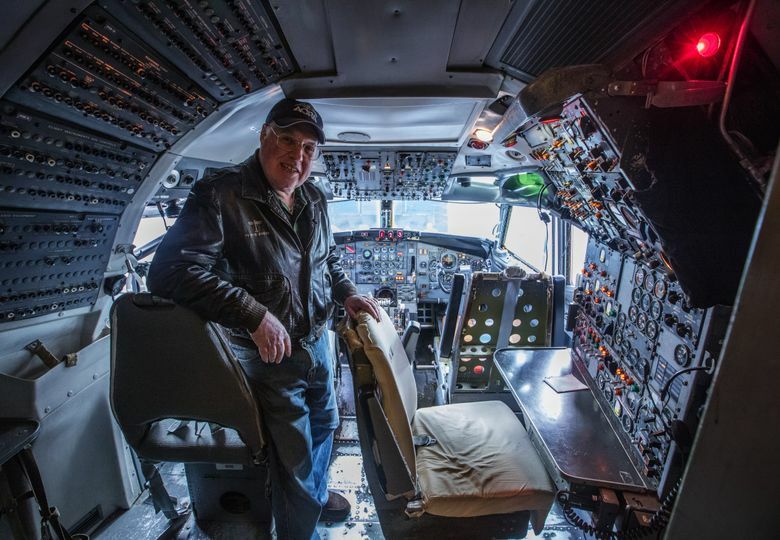 Bogash, a 71-year-old former Boeing engineer, has dedicated his post-retirement life to finding and restoring Boeing airplanes for the Museum of Flight. Unlike other restored planes, the 727 was rebuilt solely to fly one last time. The plane is tentatively scheduled to take its final flight Wednesday — if weather permits — around 10 a.m. from Paine Field in Everett, where it has been sitting for the last 25 years, to Boeing Field. “The airplane’s been sleeping, but we’ve woken her up and now she’s alive again,” Bogash said. The final ride will likely last less than 15 minutes. Most restored planes lack the mechanical guts to ever fly again, but Bogash said he convinced the museum that flying it from the restoration center in Everett would be cheaper than dismantling it and sending it via truck. 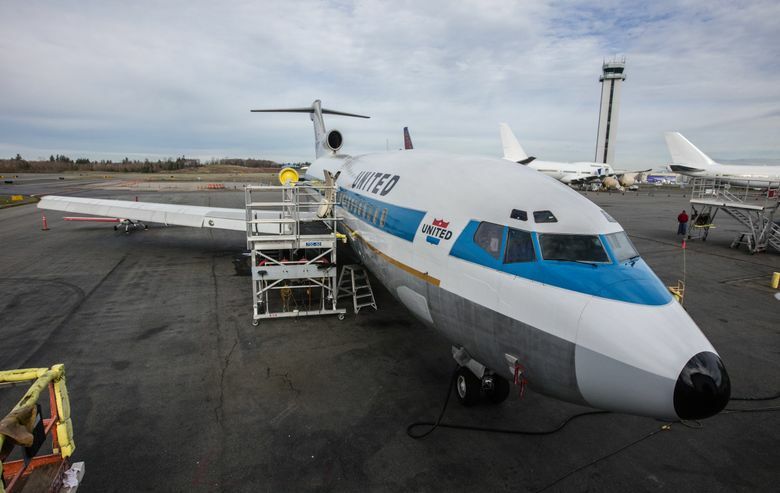 The plane was delivered to United Airlines in 1964 and was in service until 1991, when the airline donated the aircraft to the Museum of Flight. For the last two decades, dozens of volunteers led by Bogash have been working to restore the plane. FedEx, one of the restoration’s sponsors, donated new engines. United paid close to $4.4 million for the line’s prototype, which generated more than $300 million for the airline and carried close to 3 million passengers in its 27-year career, according to the museum. Bogash said the restoration was a multimillion-dollar effort, but much of that came through in-kind donations and volunteer hours. He estimated the actual dollar amount spent was less than half a million. Bogash recalls the day in 1984 when he landed at O’Hare Airport in Chicago and spotted the original 727 as his plane taxied on the runway. That gave him the idea of asking United Airlines to donate the plane once it was retired, and the airline agreed. Restored planes are like time capsules, said Dan Hagedorn, the Museum of Flight’s curator. The restorers wanted to keep the plane in its original condition as of when it went out of service. Its seats and wall panels sport brown upholstery with a multicolored pattern. The overhead bins would be unable to accommodate many of today’s carry-on suitcases. Passengers of yesteryear used those bins for smaller items like purses and hat boxes, Hagedorn said. Ashtrays tucked into the armrests add to the feeling of a different era. The cockpit was designed for a three-person flight crew: pilot, co-pilot and flight engineer, that latter role one that has since mostly disappeared. Boeing introduced the 727 at a time when airline passengers flew either on large jets or smaller propeller planes. Large jets, like Boeing’s 707, could land only at major airports, which made it harder for airlines to service routes between midsize cities. Enter the sleek, midsize 727, which brought the style, comfort and speed of a jet and could utilize shorter runways. “There was lots of controversy about allowing jets onto smaller airports,” Bogash said. The 727 won that battle, and the plane helped Boeing’s commercial business surge. It was the first Boeing commercial plane to sell more than 1,000 units. Eventually more than 1,800 were produced in Renton. “When Boeing came out with this airplane, it was a big leap forward,” Bogash said. The success of the plane also helped change the course of passenger air travel. “What a transformation. It was like going to the moon ­— it was that different for the traveling public,” Hagedorn said of the travel experience on a 727 versus the smaller planes that were common at the time. It’s also remarkable, he said, that a passenger jet like the 727 was developed within six decades after the Wright Brothers first took to the skies in wooden planes. “In 60 years, we came this far,” he said. The museum has planned departure and arrival ceremonies for celebrants at both ends of the 727’s final flight next week. The Museum of Flight will park the plane outside until the fall, when it will move into the Aviation Pavilion, a 140,000-square-foot facility that will house about 20 restored aircraft, including the first 737 and first 747. Starting Wednesday, the public will be able to view the plane and tour the interior on a limited basis. Restoring aircraft is expensive, and the artifacts take up a lot more space than other museum pieces, but preserving planes is an important endeavor, Hagedorn said. “In 1,000 years,” he said, “we’ll be remembered for being the first humans to leave the surface of the planet and conquer flight. Information in this article, originally published Feb. 26, 2016, was corrected Feb. 27 to clarify the 727 was the first Boeing commercial plane to sell more than 1,000 units. Military planes reached that level earlier.